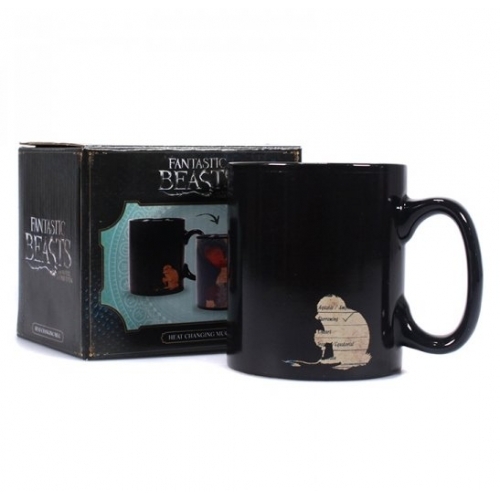 This Fantastic Beasts and Where to Find Them mug transforms when hot liquid is poured in. 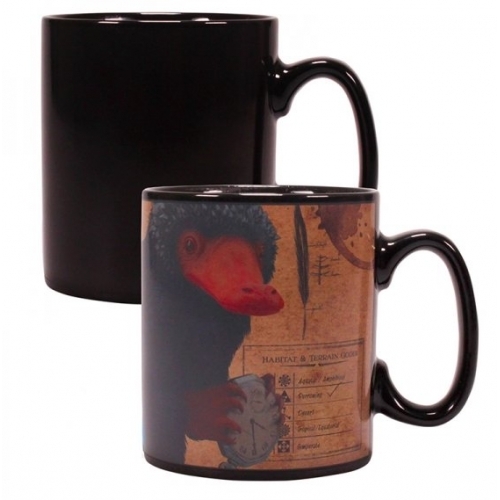 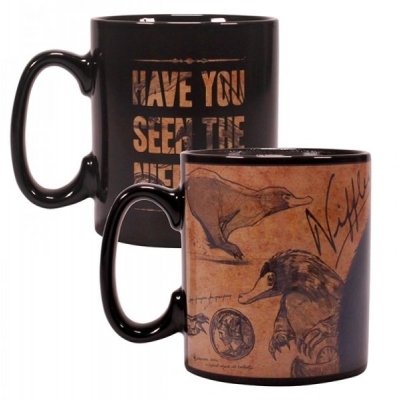 Cold, the mug features the phrase "Have you seen the Niffler" and the silhouette of a Niffler. 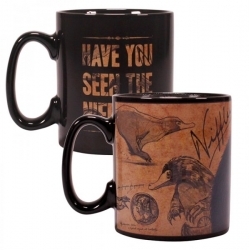 When hot liquid is poured in, the mug transforms to receal a sketch-style artwork design of the Niffler on a parchment-look background.